Treated like a King And Queen for a day filled with spa and massage session, hair make over, pedicure and manicure, lunch and dinner. OH YA ! We'll also throw in RM600 cash for your to shop. Attach your receipt to the Entry Form that is obtainable from the Concierge or at the 'My Red Carpet Experience' booth located in front of Starbucks and New Zealand Naturals on the Ground Floor. 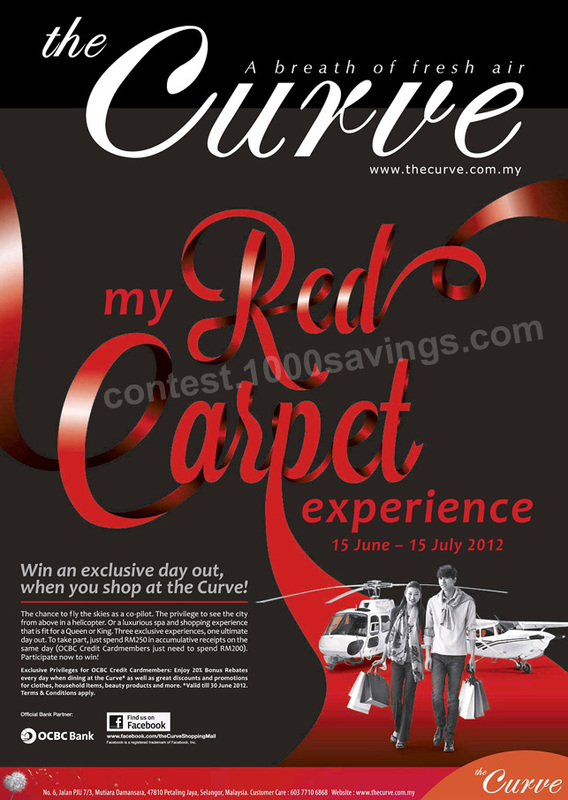 Choose your 'My Red Carpet Experience' from any of the 3 experiences and drop the Entry Form into the entry box. Wait for our call ! Visit The Curve website for more details.